Last weekend my mom found out that her dear friend Marnie passed away from an ongoing battle with cancer. It is very surreal when someone passes away because you miss them but can't spend time with them anymore. Thankfully, Marnie is in heaven with her sweet Savior that she loved so much during her life. I am dedicating this post to her because of the impact she had on my mom and for the wonderful legacy she left on this earth. Wednesday afternoon Kevin and I went to Loch Raven Reservoir for a wonderful time of being with each other and talking about our relationships' with Christ. 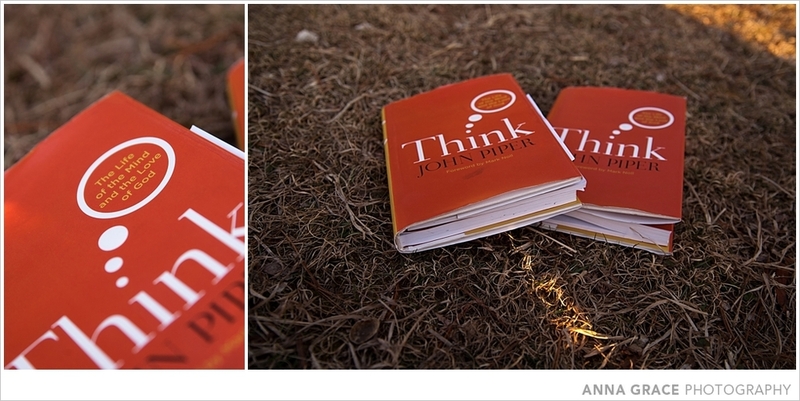 We have been reading a book together called Think by John Piper and it has really helped our relationship to be centered on Christ. The book is about how to love God with your mind and that the truth really does set you free. We talked about what we have been learning and snapped a few pictures in between. The sunset was so gorgeous and it was such a picture of pure beauty. God was reminding me that I do not live this life for myself, but for Him and that true life is found in complete dependence on Him. I want to choose to love God & others like Marnie did, and live in each moment that God has given me to the full. Life is so short and you never know when you will meet your Creator face to face. Thank you Lord for Marnie's life, she will be missed dearly.